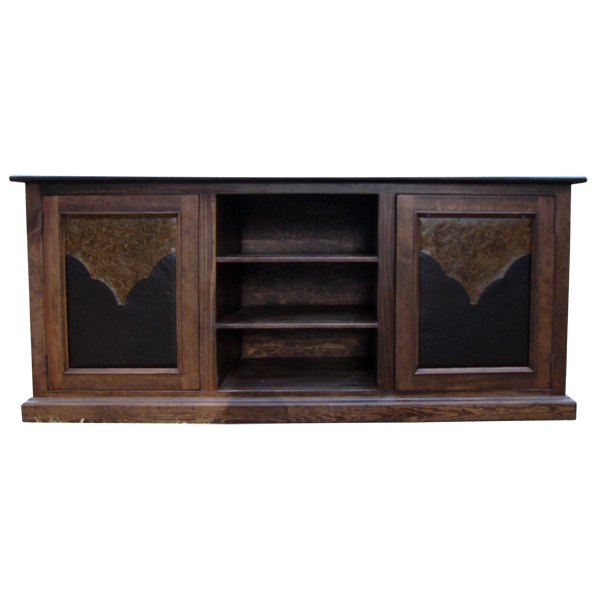 Add beauty and functional storage to your living room or bedroom with this handcrafted, Western style credenza. The credenza has an open, wide top, with a classic, straight top rim. The design of the top rim is repeated in the credenza´s solid wood molding base. Centered in the credenza is a large, open space with two shelves for displaying personal items. The base tray can also be used as an additional display area. Each front side of the credenza has a cabinet door with a rectangular cut design, and inside each cabinet door is a shelf for practical storage. 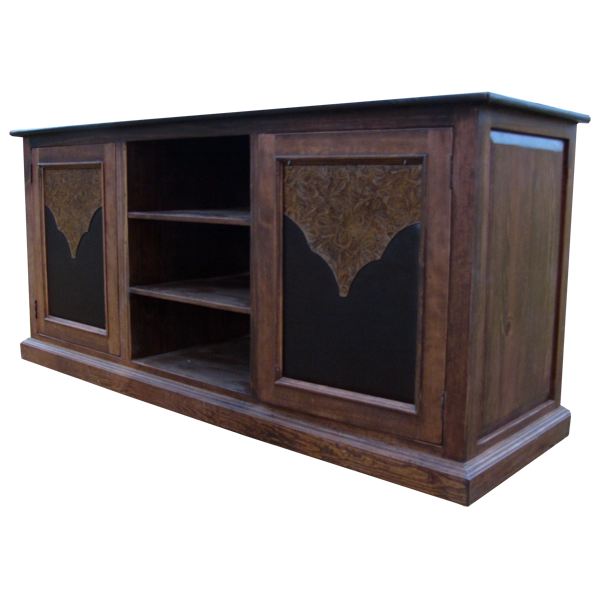 Both cabinet doors are covered with two types of full grain leather in a Western cut design. Each cabinet door has a hand forged, iron handle on its side. Both lateral sides of the credenza have a decorative, rectangular cut panel. The credenza is finished with a dark stain, and it is made with the best, sustainable, solid wood available. It is 100% customizable.